There is a significant contribution of one local man, also recognized for service in WWII. He remained in service after that war, and made significant contributions to the Korean endeavor. He was, of course, Baraboo’s Don Rodewald. A graduate of Baraboo High School in 1937, Rodewald is said to have nearly failed to graduate. A farm boy in the days of Charles Lindberg, and goaded on by seat of the pants flights at local fairs and airports, he caught the flying fever early, and retained it all his life. Flying lessons in a Piper Cub in Spring Green whetted his appetite, but like high school, he flunked his first year at the University in Madison, followed by failing to pass the Air Corps Cadet program. A year in Co. H, the National Guard, provided maturity and military knowledge, and then he was accepted into the Air Corps, significantly in the Eddie Rickenbacker 94th Pursuit Squadron. Don’s rise in the air Force is chronicled in his very readable book, Tiger Tenacity. Although he again failed the Air Corps Cadet program, he became a ground crewman. Opportunity to fly came with attendance at a somewhat secret meeting. The result was that Rodewald was officially dismissed from the army “for the convenience of the government” but for a far more significant role in our National Defense--China! Now he was an aviator! Now we find that our high school, college and Air Cadet failure has become an Air Force Major! His service in the Pacific Area was significant. Though he states that he had caught some ground fire while flying in WWII, he never had met an enemy in the air. This was to change in Korea. Rodewald’s Korea experience featured frequent contact with the Russian MIG plane piloted by North Korean or Chinese pilots. As an expert airman, he flew 27 missions on his first tour, downing one MIG, and then reported his findings on the quality of our planes, and particularly the gun-sights, to the Pentagon. .
Now a Lt. Colonel, Rodewald’s life changed abruptly when he suffered a power failure and crashed while landing at Shaw Air Force base in South Carolina. Extensive injuries including his spine resulted in the loss of both legs. Rode proved that you can’t keep a good man down, and he soon had a significant job with Lockheed. On a trip to China he and fellow Flying Tigers were honored by President Chiang Kai Check. Soon Rodewald was flying again, despite the loss of both legs and other complications. He flew around the world alone, the first paraplegic to do so. To stay on a snowmobile, he had Velcro sewed to his pants and the seat! 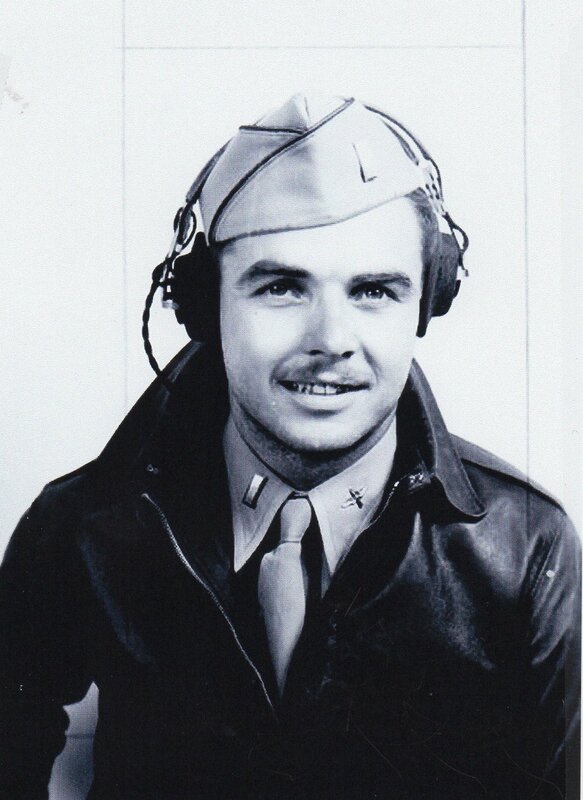 This Korean Veteran, who nearly failed high school, flunked out of UW Madison, and twice failed the Air Cadet’s entrance requirements, went on to serve his country well in WWII, and exceedingly well in Korea. He dealt admirably with his handicap for the rest of his life. Rodewald died in Sept, 2002 following a life of adventure and achievement rarely accorded to one man. He exemplified the spirit of the men of the Korean conflict, too often ignored in our nation’s military history. He brought honor to his generation and to his community. The Korea conflict was more significant than one might think. We lost 627 Wisconsin men, compared to 760 Wisconsin men in Vietnam. The Korean losses were in the 25 month period of war in Korea, while the Vietnam losses covered several years. Sauk County lost four men in Korea: Laverne Gruber, Lawrence Scott, John Thorn, and Clarence Weiss.